Artwork © copyright 2012 the artists. 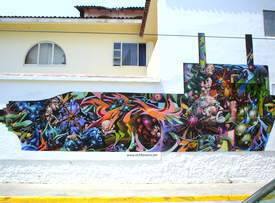 Photos from VRS Crew, in Guadalajara, Mexico. Please send corrections to yo@graffiti.org and mention VRS 1. These were painted in Guadalajara, Mexico, except as marked.